A collection of tissue-culture (TC) treated, sterile cell culture plates with individual lids for confluence and bottom-fluorescence measurements of cell-based applications. Performance assured with minimum background signal. It is critical to ensure the optical quality of microplate well bottoms for contrast-based confluence measurements, as optical artifacts or particles that have a higher contrast than the background could be incorrectly identifi ed as cells. 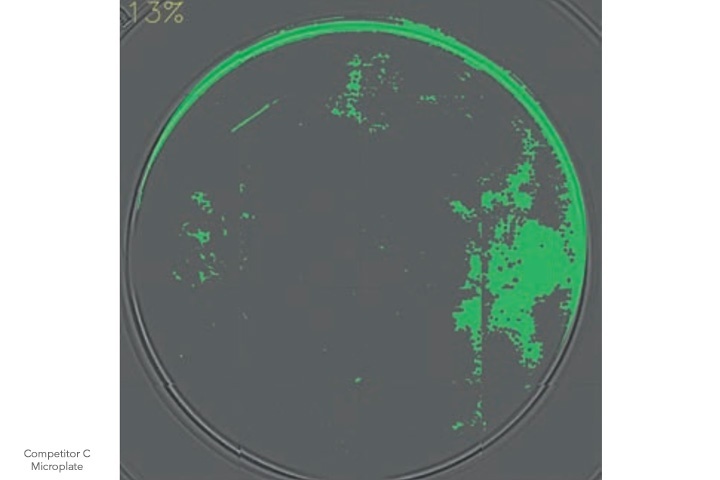 Our cell culture plates offer assured optical performance, with minimum background signal. Difference in background confluence (artifacts) between a Tecan cell culture plate and a competitor plate using the Spark reader. 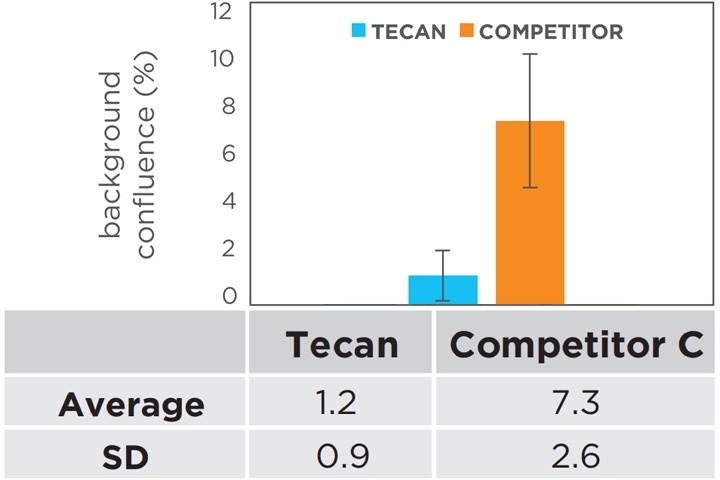 Tecan Microplates are the latest addition to the Tecan consumables portfolio. We off er a selection of polystyrene, medium-binding ANSI/SLAS-format microplates compatible with Tecan instruments. Safety and quality for optimal performance. At Tecan, we work continually to ensure that our instruments meet your application requirements. We offer a broad range of consumables tailored to your application and automation needs. The Spark multimode microplate reader is your research partner. All Tecan single- and multimode readers.